This should bring back a lot of fond memories for Vintage Barbie Doll Collectors. 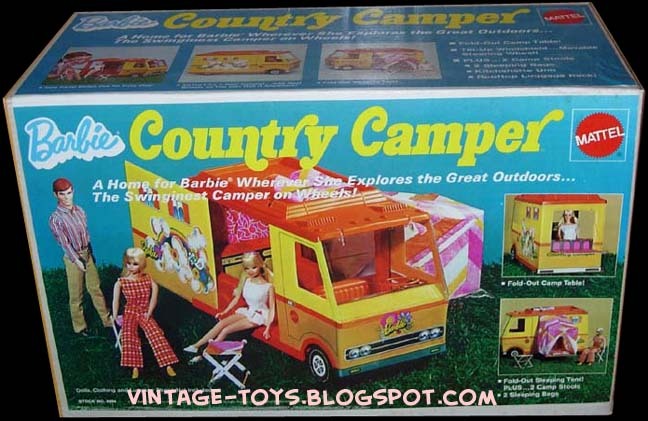 Here's the BARBIE COUNTRY CAMPER! Made by Mattel ©1970. This was one of Barbie's most popular vehicles. 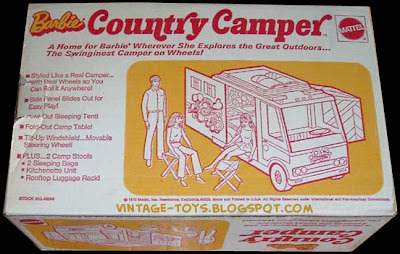 It came with outdoor furniture so you pretend you were camping, Yyyee HHaaaww!! These are starting to get pretty hard-to-find in MINT condition but I think the best thing about it is the original box with the cool vintage graphics, great for display! Below is a cool YouTube video of the famous 1971 TV Commercial, enjoy! 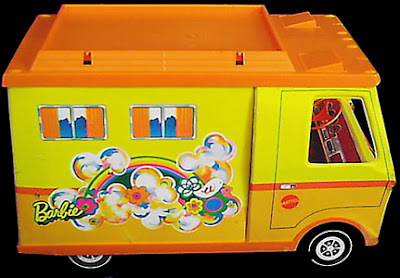 This was such a cool toy, I just loved it. I was surprised to find one exactly like the one I had at a yard sale. Now my 3 children are playing with it too. Thank you for the wonderful pics, video, and memories!!! 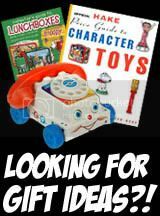 I had one of these! My mom tied a string to it so that I could drag it along. I was about 10 or so when I got mine. 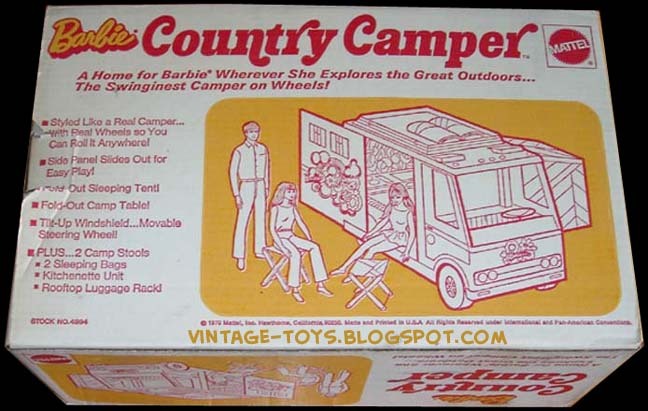 I also used my brother's hand me down GI Joe dolls with the camper, they always drove the camper while Barbie, Ken, Skipper and others sat in the back or the side seat. I had one of these, I thought it was pink though. Loved playing with it. This van was the coolest. I still have mine after 38-39 years. It's missing the steering wheel and apparently I colored on the roof with permanent marker, but I still have every single plate, cup, pot w/lid, chairs, etc. I need to downsize & am having a hard time letting it go. Loved the old commercial. Making it harder to get rid of it.